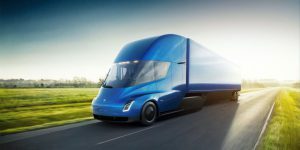 DHL Supply Chain that is part of Deutsche Post DHL Group in the Americas, has placed an order for ten Tesla Semi. It plans to test the trucks at its customer operations in major U.S. cities from 2019. 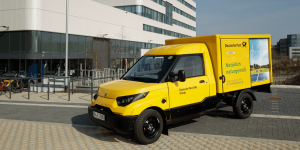 Deutsche Post DHL has hit its target to operate 5,000 of its “homemade” electric StreetScooter vans even before the year’s end. No. 5,000 has gone into service already in November and adds to the 13,000 km driven so far. 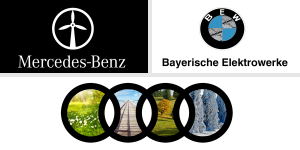 Deutsche Post/ DHL, Energica, Israel, California, AmeriPride. 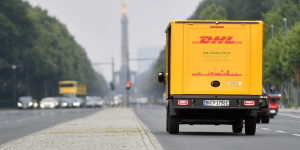 Zero emission logistics by 2050 is Deutsche Post/ DHL’s commitment to the future of deliveries. Its ambitious target applies to both its own operations and to those of its subcontractors. However, as 2050 is far, the group formulated four milestones for 2025 already, that are part of its GoGreen programme. 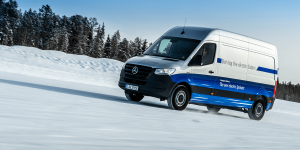 One of them is to switch 70% of its delivery services on the first and last mile to electric vehicles. First e-bike maker joins CharIn: The CCS charging initiative welcomed Energica as its latest member. Energica says it is the first electric motorcycle manufacturer that uses this fast-charging standard. Life Riders in Israel: Emergency service Magen David Adom (MDA) has added pedelecs to its fleet for first responders. The so-called Life Rider unit involves a 1,000 e-bikes for volunteers to operate within a 10 mile radius starting by mid-2017. Each pedelec carries resuscitation equipment. 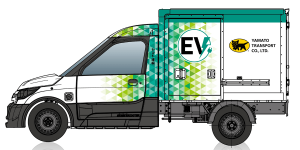 The first 27 next-gen electric trucks are due to arrive in California tomorrow. Reason enoigh for CARB to gather together all partners involved, namely the state of California, the San Bernardino Council of Governments (SBCOG), Daylight Transport, and BYD. 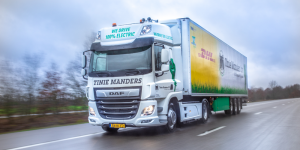 More e-trucks are to be delivered this summer. Fleet replacement expands: AmeriPride Services now plans to add 20 additional vans equipped with the Motiv Power Systems electric powertrain to the company’s California business, after initially replacing 20 percent of its fleet in Vernon with electric delivery trucks. China, DHL, Mayar Posta, Stockholm. New regulations in China: China says it will install more EV charging stations and all parking spaces at new housing projects will be prepared for the installation of charging outlets. Nationwide, no less than 10 percent of public parking will be equipped with charging infrastructure. 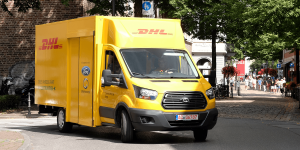 Parcels via e-van: Logistics company DHL Express has ordered 45 fully electric cargo vans for its U.S. business. 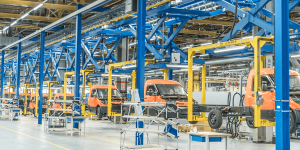 Manufacturer Zenith Motors will supply the vehicles, which use an electric motor from Colorado-based UQM Technologies, providing 80 kW. 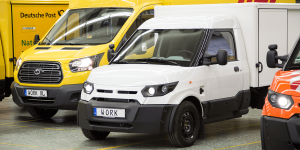 Magyar Posta tests EVs: Until January 2016, the Hungarian state-owned postal service Magyar Posta is testing out different EVs, including models from Citroen, Nissan, VW, Kia and Renault, as well as e-scooters from German manufacturer Govecs. Magyar Posta is looking to reduce fuel costs by switching to electric transport. 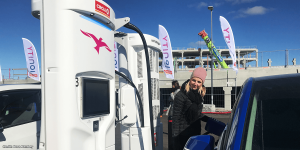 Stockholm gets H2-filling station: AGA, a Swedish subsidiary of company Linde, has opened a new hydrogen fuelling station in the vicinity of the Stockholm airport. With a capacity of 180 fillings/day at 700-bar, it is the largest H2-station in the Nordic country and the first in its capital. Audi together with Amazon and DHL will test a new service starting this May. When ordering, Audi drivers can state their car’s trunk as delivery address. Just be careful not to re-park while DHL is on the way. You know how they schedule arrival between 9am and 6pm sometimes. Nissan, Endesa, HyWay, National University, ChargePoint. 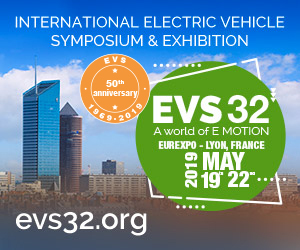 V2G agreement: Nissan has signed an agreement with Spanish utility provider Endesa to deliver a low cost, market-ready V2G system, and an innovative business model. The latter could soon see EV drivers sell back the remaining energy in their vehicles’ battery to the grid. Furthermore, the two corporations plan to look into second life applications for EV batteries and new electric car sharing solutions. 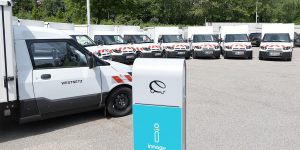 DHL Express is to add Renault Kangoo ZE vehicles with Symbio FCell’s hydrogen range extender to its fleet as part of the HyWay project. The FCVs are now ready to take to the streets in French Lyon, Grenoble will follow. Hybrid uni fleet: The National University in San Diego is replacing its 26-strong fleet with Honda Accord plug-in hybrids. The university’s campuses are scattered all over California and even Nevada so the PHEVs will serve staff travelling between the several locations. Most electrified: ChargePoint has issued a list of the most EV friendly cities in the States. The ranking, that is led by Frisco, LA, and Seattle, is based on the network provider’s own charging stations and registered EVs. StreetScooter, DHL, Audi, BMW, Tesla, Ford, China. 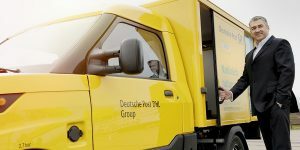 DHL buys StreetScooter: Deutsche Post DHL has acquired the RWTH Aachen spin-off StreetScooter GmbH including the development and production rights to electric vehicles. StreetScooter CEO Achim Kampker believes that from next year on up to 10,000 EVs could be built in Aachen annually, German Focus Online reports. 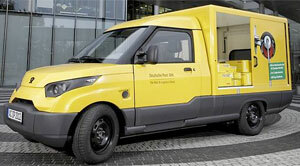 Already, Deutsche Post is using about 70 StreetScooter and plans to electrify its entire mail and parcel deliveries in the city of Bonn by 2016. 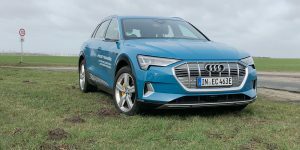 Audi plug-in to premier in Geneva: The German carmaker will present its Q7 plug-in hybrid at the Geneva Motor Show in March next year, Audi’s head of sales Luca de Meo announced in Berlin. He further remarked that there will be “more to come” in 2015 but did not go into any details. New BMW Chief: Norbert Reithofer will step down as chief executive of the German carmaker next year and will be replaced by Harald Krüger, the head of production. 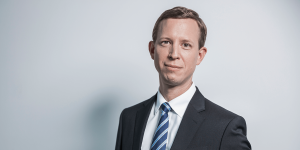 Reithofer will continue in a strategic role as Chairman of the Supervisory Board. Meanwhile, BMW development chief Herbert Diess will take over as Chairman of Volkswagen´s passenger cars brand. Tesla goes Down Under: The Californian carmaker has officially launched its Model S in Australia with the delivery of nine units and the opening of its first store and service centre in Sydney. Tesla also energised the first Superchargers in Australia and plans to build up a network that will connect Canberra, Melbourne and Sydney next year and all major cities along the east coast of Australia by 2016. Ford hybrids for Australia: Ford Australia is committed to bring hybrid cars to the local market “within the next few years,” Trevor Worthington, VP of Product Development in the Asia/Pacific region said. This comes as a surprise as before the company believed that there is no demand in the region. DHL, Carbon fiber, Inductive charging, Yellowstone. 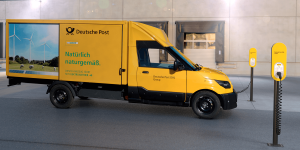 Testing Centre for EVs: Germany’s postal service (Deutsche Post/DHL) wants to open a test centre near Aachen, in order to test alternative delivery methods, such as the StreetScooter (picture). Construction is set to start at the end of June. The reason the postal service chose the location is that it is located near the University RWTH Aachen. Battery-body: Swedish researchers are testing if the carbon fibre shell of an EV could be used as an active electrode in a multifunctional structural Li-ion battery. Meaning, whether the battery could be integrated into the body. Others such as Volvo and the Imperial College London have also begun looking at the possibilities. Charging the market: In a new paper entitled “Strategic Analysis of Inductive Charging for Global Electric Vehicles (EV) Market,” Frost & Sullivan forecasts that the market for inductive charging will grow 126.6 percent annually between 2012 and 2020. Especially Europe will see tremendous growth, with many carmakers already testing the technology. Yellowstone gives batteries a second life: 208 decommissioned batteries used in Toyota Camry hybrids will be installed at the Lamar Buffalo Ranch inside the U.S. national park. With a combined storage capacity of 85 kWh, they will be able to hold enough excess energy produced by local solar panels and micro hydro turbines to power the farm off the grid. 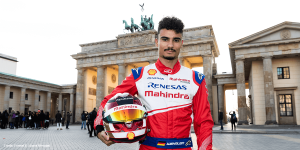 Oberhausen, DHL, Vukee Cars, Italy, Spain. 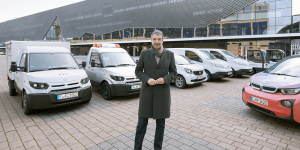 Saving money and carbon emissions: A new mobility concept for Oberhausen, Germany, wants to save the town 200,000 euros and 100 tons of CO2 emissions by electrifying the fleet for the city’s employees. In a first step, 79 electric cars will be purchased including 36 Colibri one-seaters. Later, bicycles, pedelecs and the ‘Job-Ticket’ with reduced prices for public transport will be introduced. 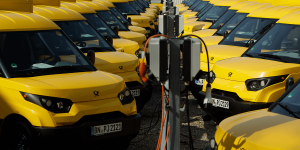 DHL to intensify electrification: Deutsche Post DHL just signed a letter of intent with Renault for further purchases of the Kangoo Z.E. 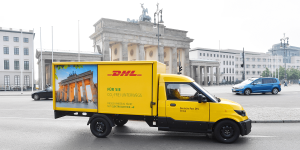 Most recently, DHL made the decision to switch is entire delivery fleet in Bonn, Germany to electric vehicles. There, over 140 electric vehicles will be in use by 2016. Tesla carsharing: Vukee Cars already has the app and the knowledge, all that is missing are 250,000 dollars which the company aims to collect through crowdfunding to buy 25 Tesla’s to share. The company wants to set up its car sharing in EV-friendly and supercharger-dense areas in the USA. At an hourly rate of 44 dollars the Model S remains a luxury though. EVs in Italy and Spain are not particularly selling well: Looking at the sale figures for February, the BMW i3 was the best-seller in Spain with only 12 units and the Smart electric drive coming first in Italy with 30 sales. In total, only a merely 4 Tesla Model S were registered.